Versatile indoor/outdoor high resolution color digital camera system that's completely plug-and-play ready. 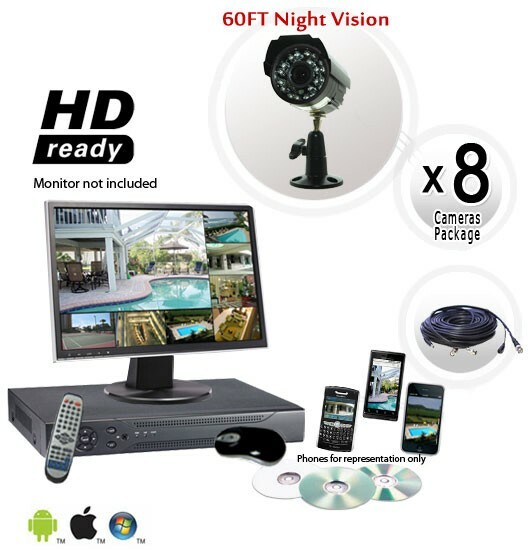 Reliable security camera system with free technical support and a 1 year warranty. If you're searching the market for a reliable high quality Camera System and you're sick of finding over priced low quality Security Camera Systems on other websites then look no further. This 8 Camera CCTV System will outshine any other 8 camera system you can find for the quality and price. In this 8 camera system, we've put together easy to use components to create a security camera system that brings together digital recording, remote monitoring and motion detection all in one. 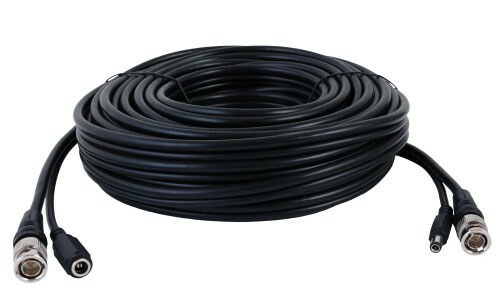 This camera package includes all necessary wiring and connectors you will need to get the camera system up and running. This Camera System comes with day/night infrared color bullet cameras which are outdoor rated, and come with a 3.6mm fixed lens that provides a 70 degree angle of view and needs no focusing. These surveillance cameras can see up to 65 feet in complete darkness and farther if you have other lighting. 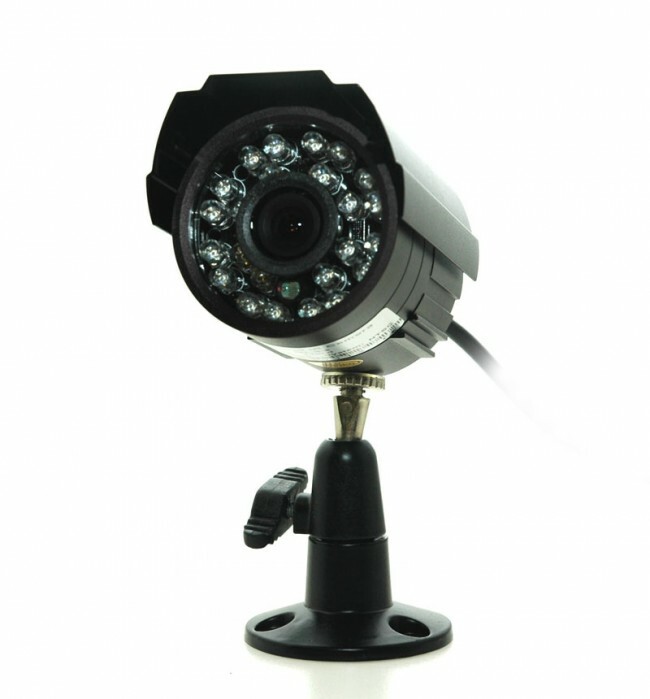 These included bullet cameras very high quality and are made of metal with a color image sensor. They will withstand the harshness of weather without a problem; let it be rain, snow, or sleet, or hot or cold weather. Then again, why not put these cameras indoors? These are small and versatile and work well in an indoor or outdoor environment. The included 8 Channel Digital Video Recorder comes with a 500GB Hard Drive for recording of up to 3 weeks of continuous video for all 8 cameras. This DVR also allows you to simultaneously record video, playback video, or remotely login to the system without ever stopping recording. You can have up to 10 remote users connecting to the DVR at the same time. It provides real time 240 Frames Per Second (FPS) recording at 350 x 240 resolution, and at 7.5fps per camera at D1 resolution which is 702 x 480 pixels. Motion detection, scheduled recording, email notification, and remote viewing are standard features. The DVR in this camera system can also transmit live and recorded video to a remote viewing location via a network, or over the Internet so you can view video from your PC using Internet Explorer or with the included windows software. You can also view live video on your smartphone from anywhere in the world by remotely logging in to the system. All you need to do is connect the DVR to the internet using your broadband connection such as a DSL or Cable modem. The included Digital Video Recorder also supports the iPhone, iPad, Google Android Phones and Tablets, and most Blackberrys. We stand behind this camera system because we know that it is a quality product that you will be able to trust. If you're looking for a camera system for you're home or retail store this is perfect. This camera system has the ability to see in the dark which is perfect for surveillance at night when you are not around. It can also help at home when you are sleeping and want to catch any intruders attempting to break in.